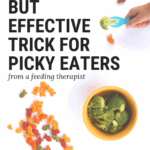 This is the second post in a regular series I have started, Picky Eater Tips. Click here, if you missed the first tip. 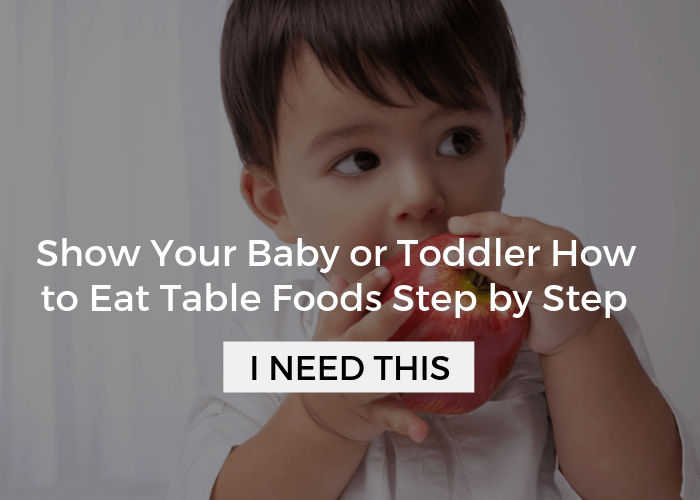 Although this tip is great for “picky” eaters, all kids will enjoy it. 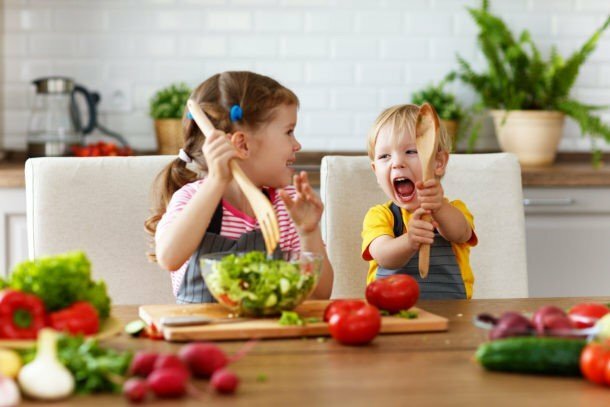 Kids love to eat food on sticks! I have to admit, I enjoy it myself. 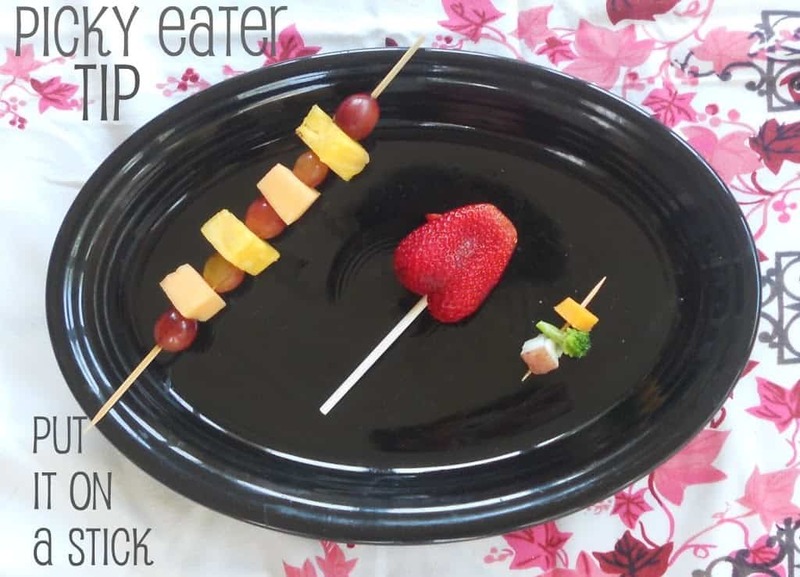 In this post, I will show you how to use sticks when you are stuck in a rut in the middle of a meal, as well as some fun meal ideas. 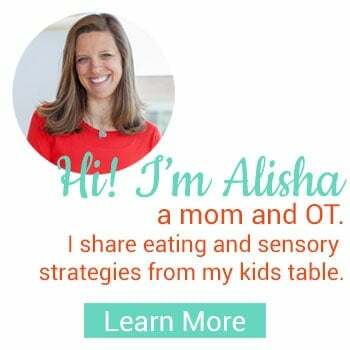 I have a bag full of “tricks” that I use to jump-start a kid’s eating when it has stalled half way through a meal or if it hasn’t really gotten started at all. All of these tricks serve the same purpose — to shift focus. So many times kids, especially toddlers, dig their heals into the ground over not trying something just on principle. They don’t even know why they don’t want to try something and then you’re in a power struggle. (Warning: this may be hard to hear…) Your kid will win this power struggle, so try not to go there. Once the battle over eating begins, the focus often becomes winning the battle, which means not eating. When you see this happening, you need to change it up. One way to do this is to use a toothpick to eat. My husband just did this the other day with Sam. (By the way I almost fell over, he came up with this all on his own! I was so proud!) Sam had some fresh cherries for a snack that I had sliced off around the seed. He refused them immediately, which I had expected. My goal was to get him to just try one, since this is something he typically refuses. I offered a few encouraging sentiments, “Sam, could you try one bite? It is okay if you spit it out. They are sweet and soft.” Then, a few minutes later, “How about a lick? Aren’t they a beautiful shade of red?” I was distracted cleaning something up (my fault for trying to multi-task when he needed more attention). 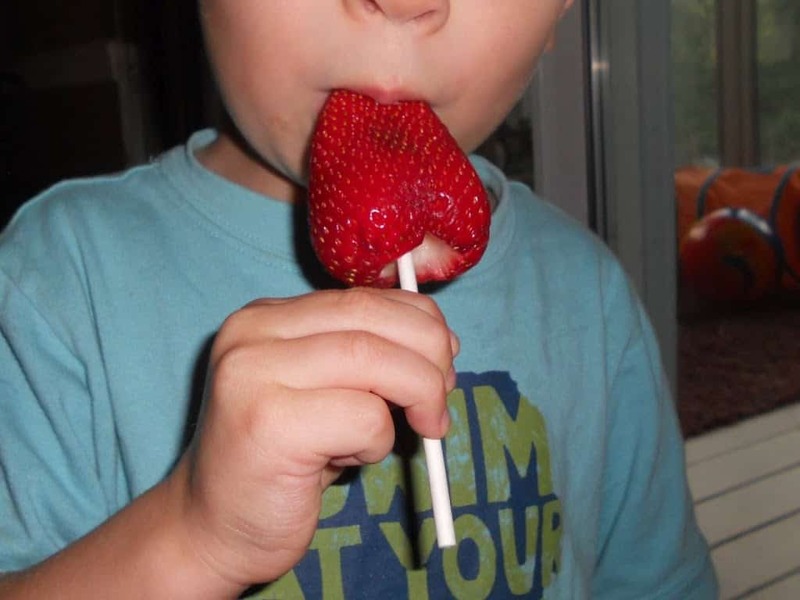 Then my husband said, “I have a fun idea, why don’t we eat them with toothpicks?” Sam had never been given a toothpick, I would have felt uncomfortable with that up until now (he’s nearly three). Sam was immediately interested. My husband, got his own toothpick and demonstrated. With a little encouragement and safety instruction Sam ate 10 pieces of cherries happily! Sam did great and I was really happy, but I would have been pleased with one bite because that was progress. Keep in mind that touching, smelling, or just kissing the food may be progress. 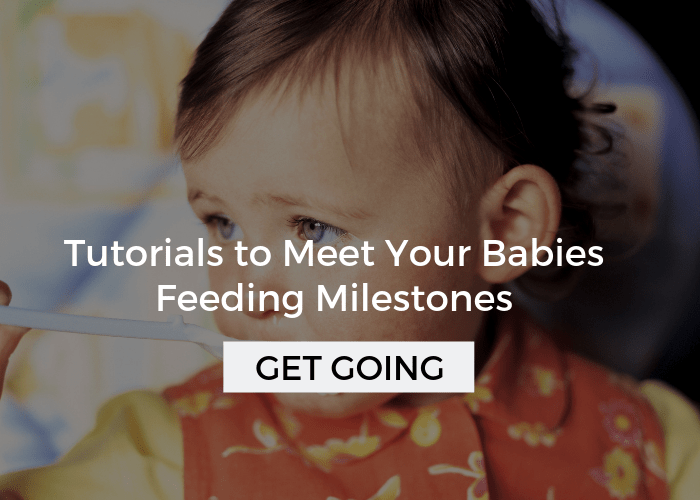 It is a process, don’t be discouraged if your kid doesn’t eat 10 bites of whatever food you are working on. A few days later we had cherries again and he hesitated, he did ask for the toothpick again, which I was okay with. It may take him a little while to get comfortable with this food, as he didn’t eat as many the second time out. Of course this is such a novelty right now, and he is three, so he wants to do the same thing over and over. 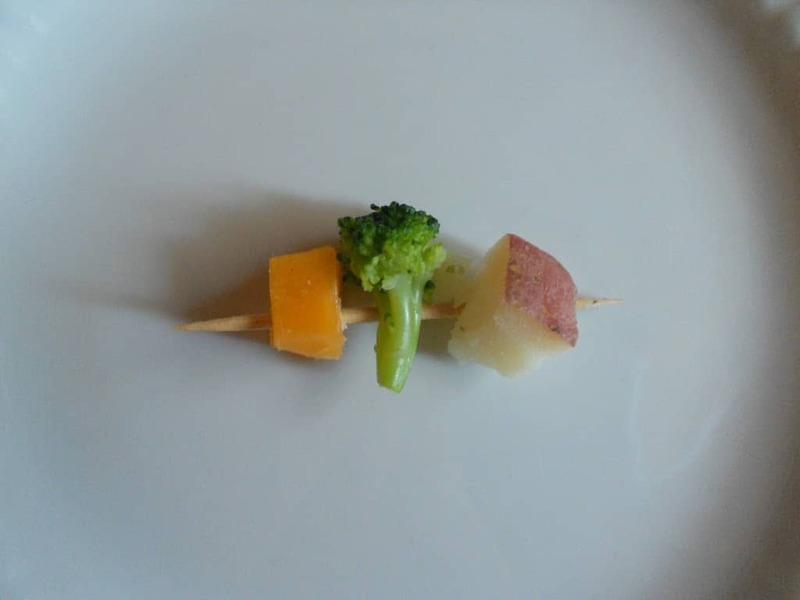 In the picture I have a mini-kabob with baked potato, cheese, and broccoli. You could call this a baked potato bar on a stick and give some sour cream to dip. We had this awesome pretzel chicken (seriously you should try this) a few weeks ago and it would work great on skewers. 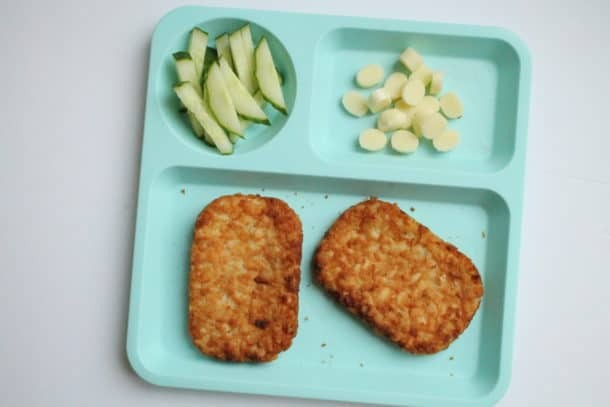 Cubed, breaded, tofu on toothpicks with marinara sauce. Bake mini meatloafs onto lollipop sticks. Are you still looking for some more inspiration? The Kitchen Daily has a great round up. Sometimes it’s the smallest things that make the most difference. 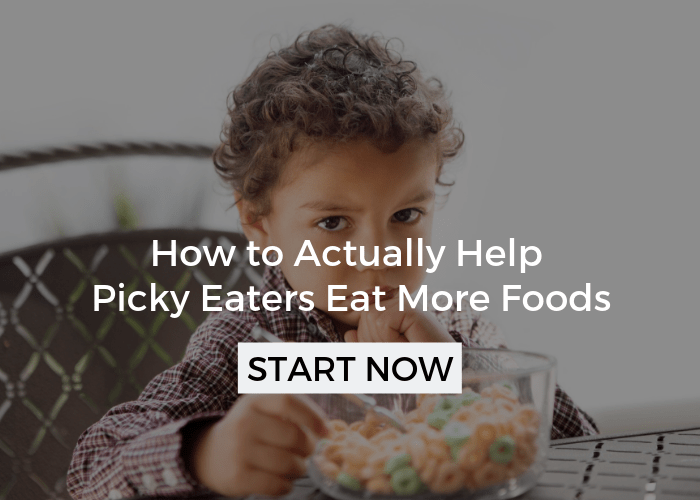 I believe that’s true when it comes to improving a “picky” eater’s diet, too! All of the little changes you start to make will add up to big changes. There is a wonderful new invention out now called pick ease which is basically a safe toothpick. It is a fun utensil for kids. Check it out. At what age is it ok to do this? Around 2.5 years, usually. Although, it depends on the kid. 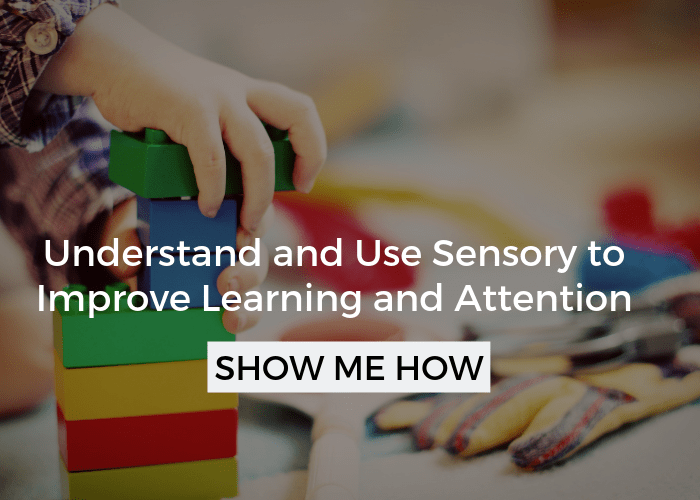 Some kids can follow directions and understand safety precautions sooner, others later. Most kids should be able to safely handle this by 3. Make sure you child is seated and it is supervised. I can’t believe I haven’t tried this yet! Thanks, lady! Thanks for stopping by! Sometimes it is the simplest things! Looking forward to checking your blog out! Thanks for stopping by Meredith! I know, so simple, sometimes it is the simplest things that work the best! Great ideas here Alisha! Thanks for sharing and looking forward to trying them with Max!